Women can space out pap tests based on their age and past pap test results. Yes, ladies, it is true — depending upon your age. You can safely space out Pap tests (which use a collection of cells taken during a pelvic exam), according to new guidelines released by the U.S. Preventive Services Task Force. At age 21, women should start having Pap tests every three years. At age 30, if you have a normal Pap test and a negative HPV test, you can start going five years between Pap tests. And, if you have normal Pap tests your whole adult life, you may stop having them at age 65. 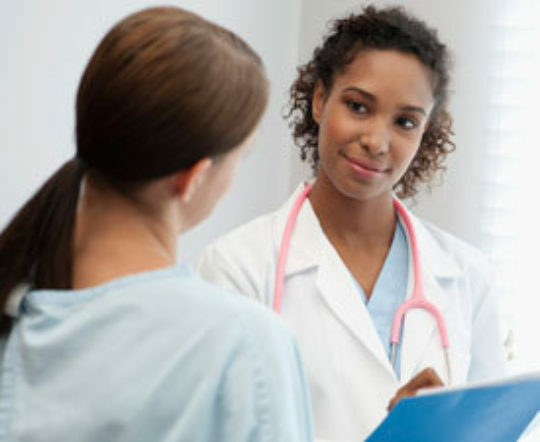 So, if you have no risks or abnormalities, you may need only 11 Pap smears in your lifetime. Woo hoo! For more information on what screenings and guidelines you should be getting, please read the latest Screenings & Immunization Guidelines for Women brought to you by the Center for Specialized Women’s Health at Cleveland Clinic.